Acclaimed author Uvi Poznansky has just released a new book! 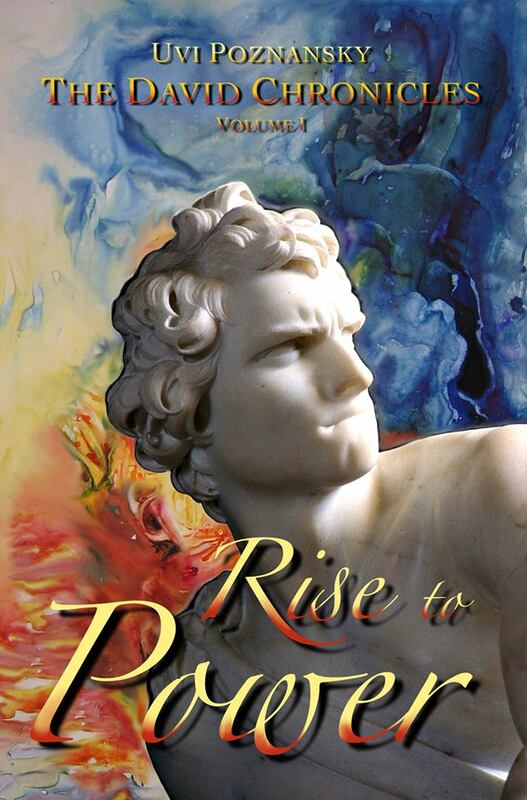 The work, entitled Rise to Power, is the first volume in her new series The David Chronicles. The story explores the life of one of the most admired figures in history and the most complex figure in the bible: David. I am currently reading and loving it. The book will be free on Amazon DEC 12 2013 (tomorrow on day of posting). Look out for my review on http://www.christophfischerbooks.com tomorrow. Educated as an architect in Israel and as a software engineer in New York, the author is diverse in her academic and cultural perspectives. Her experiences have allowed her to create stories touching upon the innermost depths of the human psyche and drama. Uvi Poznansky has appeared on Blog Talk Radio numerous times. She has received the #1 Author award from AUTHORSdb, and has received rave reviews from Amazon Hall of Fame reviewer Grady Harp for her previous books, which include her literary fiction novel Apart From Love, her poetry book, Home, her collection of dark tales Twisted, and her biblically inspired story A Favorite Son. Best wishes to Uvi for great success with this book. Oh thank you so much Maria Catalina!